The functionality here is very self-explanatory as it saves what the caller says to Assistant and vice versa. 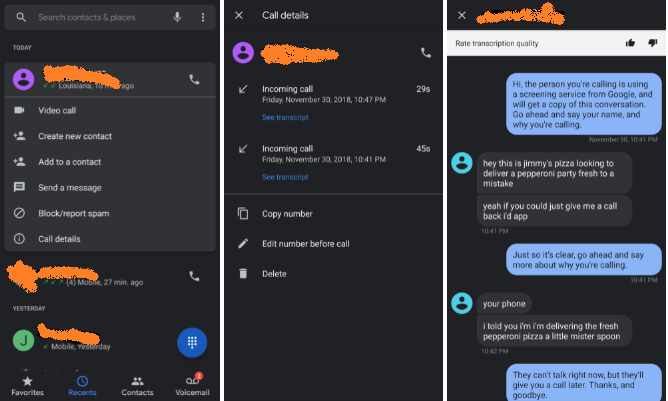 To access Call Screen transcripts on your Pixel, you’ll of course first need to screen an incoming call. 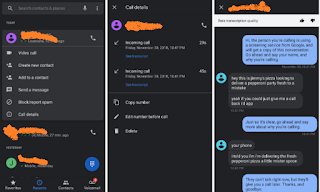 Once the call has ended, Google will automatically save the details of the conversation to your call log. To check it, go to your Recent Calls, tap on a call and select Call Details. From there, a note should read See Transcript. Tapping on that will reveal the transcript of that call.